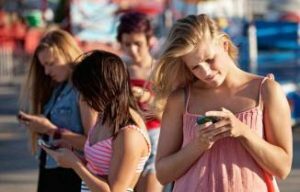 It has become so common, nowadays, for most teenagers to own a mobile phone, a tablet, laptop, desktop or anything else electronic that they use to log into online communities, chat or update their statuses on social sites such as Facebook. Parents are so used to their ‘modern’ demands that not only they easily give in but usually don’t control the amount on time they spend on these devices. Due to the fact that it’s difficult to immediately identify the bad effects of too much screen exposure or the benefits of limiting that exposure, parents can have a hard time identify overuse of these ubiquitous devices as a problem. That often results to parents not paying too much attention on the time their children spend on their phones. Research has established an average of more than 40 hours a week screen time spent by children. That excludes time spent on a computer at school. Totally eliminating screen time in children and teenagers is not suggested here. Simply, parents needs to take more control of the situation, realize the bad consequences of too much media exposure on their children and find a healthy balance that will benefit both them and their children. 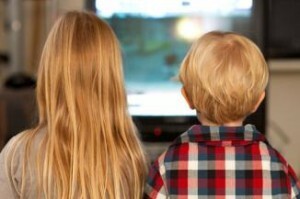 Researchers also urge doctors to get more involved in the ‘problem’ and spend time talking to parents about the benefits of limiting screen time in their children. The American Association of Pediatrics recommends no more than one to two hours of screen time a day for children two years and older. Douglas Gentile believes that because ‘reality far exceeds those recommendations’, that explains the reason why doctors feel it is fruitless to talk to parents about media use guidelines. He hopes that the study will raise more awareness on the subject and pediatricians worldwide will realize the importance of such a conversation with parents. Of course, counseling our children is great, but true change starts from us. Being constantly connected is a modern guilty pleasure, and one that we’re clearly overdoing. Limiting our own screen time, reaping the benefits of a better rested brain, and leading by example here are the key factors. Enjoy your Facebook and social media, but remember that virtue lies in moderation. Know when to stop, put that glowing window down, and look out to the real world now and then. I just did, and I was surprised to discover that it’s still there, and more beautiful than ever.